Yesterday NetherRealm dropped a trailer showing off two fan favorites in the Mortal Kombat world: Kitana and D’Vorah and with less than 10 days to go until the release of Mortal Kombat 11 they’re celebrating the upcoming title in a bloody gruesome way. So how is NetherRealm increasing the hype this time? The developers have released a new video revealing their favorite fatalities in the upcoming title. In the newest video with some of the NetherRealm staff sharing their favorite picks, some that make the list include Scorpion’s finisher that tears through the opponent’s stomach and then sends a spear through their decapitated head. Of course Skarlet’s fatality is also mentioned where she summons her opponent’s blood from their body and then stabs them multiple times with it and once through the eye. It seems the staff favorite however is none other than Johnny Cage’s fatality where he rips his enemy in half and stuffs his hand up their chest for a ventriloquist performance. As the staff say, it’s entirely fitting of Johnny Cage’s personality. You can check out the funny, yet bloody, video for yourself below. As we found out earlier this month Mortal Kombat 11 will feature 25 characters on day one, with more coming via DLC. 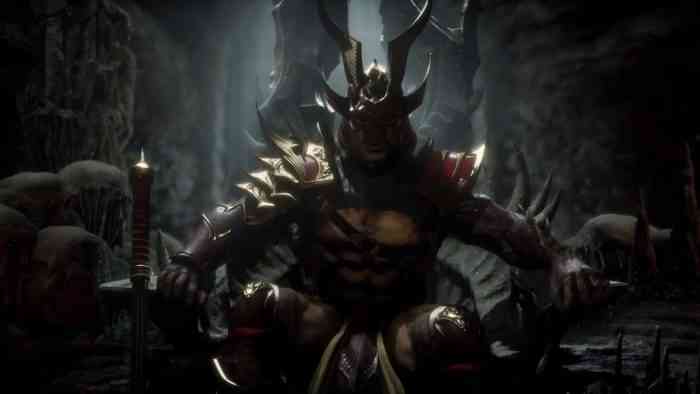 If you pre-order the game you’ll also get one more character as a bonus: Shao Khan. Mortal Kombat 11 drops on April 23, 2019 for the PS4, Xbox One, and Switch. Of all the fatalities that you’ve seen so far in the trailers, which one is your favorite? Will you be jumping into the action in less than 10 days? Let us know in the comments below and don’t forget to keep it locked for updates!